So, for today's post you can actually find my recipe over on one of my food blog/What's Cooking Board friends' site - Christine's Kitchen Chronicles. While Christine is traveling a lot she graciously allowed me to guest post for her. 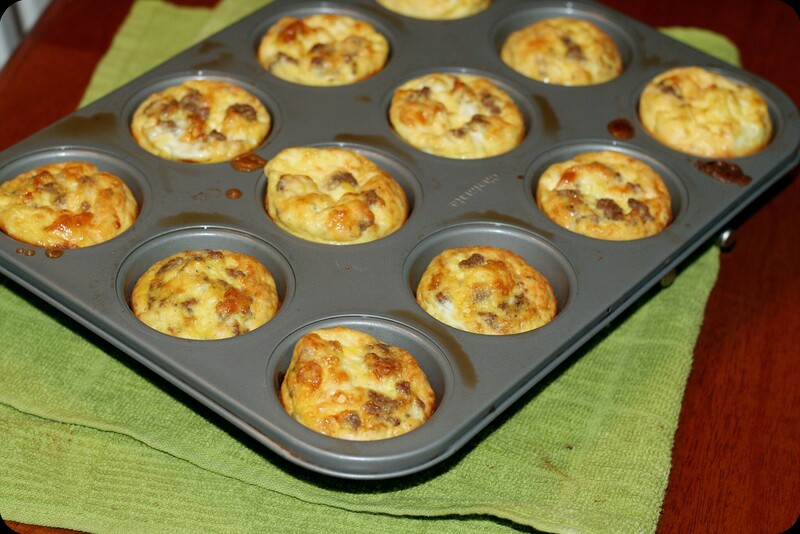 Go check out the recipe for these Mini Frittatas. A great meal for a small crowd if you don't have a lot of time, or as I like to make them - for busy moms who's toddlers are pretty picky but will eat eggs! Freeze them, pop them in the fridge the night before and heat for a bit in the morning. Breakfast is ready! While you're over at Christine's blog, check out some of her posts as well. I have quite a few things I want to try, such as this S'Mores Pizza, some Cheesy Chili Mac, and since it's technically Fall now - some good ol' comfort food like this Parmesan Chicken Meatloaf that will still allow me to do well on my work "Biggest Loser" challenge! I will be making this over the weekend! Yum!